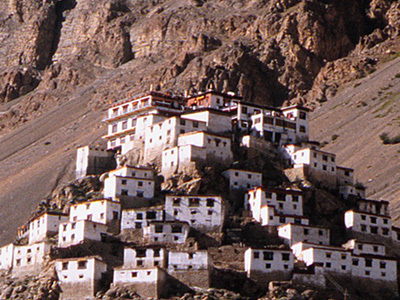 Himachal is spotted with various worldwide known tourist destinations. Shimla, Kullu - Manali, Dalhousie - Khajjiar, Dharamshala – Mcleodganj, Sangla, Kalpa are the most visited tourist attraction points for visitors. Thousand of tourist visits the Shimla Manali Hill Stations during the winter and summer. Calm beauty of snow covered hills, nature and various scenic valleys, untouched culture invite thousands tourist to relax in the nature with family and friends. Charming and delightful view of nature gives massive relaxation to heart and soul which motivates tourist to visit again and again in himachal. The view and sweet nature fragrance of apples in apple tree gardens at Kullu manali, shimla upper areas, Kinnaur – Sangla, Lahaul & Spiti and Chail - Kasauli in himachal. Mold thousands of visitors to have a stay in surrounding and capture all in their cams. Shimla - Manali, Dharamshala - Dalhousie and Chail - Kasauli are all times best holiday destinations and remains connected whole the year. Shimla (Simla) the Capital of Himachal Pradesh is also known as "Queen of Hills, sited in northern India, The Shimla hill station is well connected by air, train and road. City is situated at an elevation of 2200 mtrs. List of shimla hotels is categorized as budget, deluxe and luxury. Guest can choose hotel as per his/her requirement from budget, deluxe and luxury hotels and book through us and heritage buildings and Shimla's weather are the most attraction point for tourists. 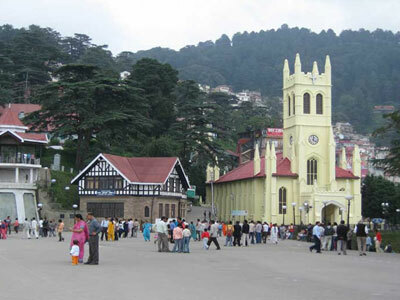 Shimla is a quit cool place to enjoy holidays with friends and family. Manali is situated in Kullu Valley at near Beas River, in the lap of nature at an altitude of 2040 mtrs. 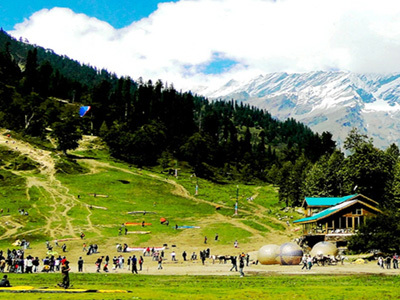 Rohtang-La, Solang Valley and Gulaba are the major tourist attraction point in Manali. This Rohtang Pass connects Kullu - Manali to Lahaul & Spiti Distt. Rohtang is well known for its snow sports, for its natural features and spectacular views of mountain scenery. From provided list of Kullu Manali hotels Guest can choose best hotels for their relaxing holidays. Some of Hotels fall in the lap of nature away from city hustle bustle. Over all it is a good place for excursion with friends and family in summer season as well as in winter season. 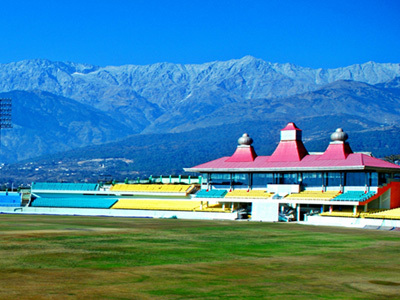 Dharamshala is a winter capital of Himachal Pradesh and is situated in the base of Dhauladhar Ranges of Himalayas. 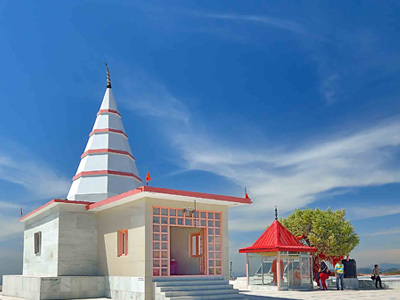 Mcleodganj, Naddi, Bhagsunath Temple, Bir-Billing, Palampur Tea Gardens and Buddhist Monasteries are the major tourist attractions in Dharamshala. Bir Billing is worldwide known for paragliding, tourist can be seen here doing aero sport activities. A wide range of Budget, Deluxe and Luxury hotels are in Mcleodganj – Dharamshala and Dharamshala is easily approachable by Air, Road and Train from other states of India. Chamba is located in the north western region of Himachal. The key Tourist Attraction points are in Chamba Distt: - Dalhousie - Khajjiar, Kalatop - Dainkund, Chamba Ka Chaugan and Chamera Lake. Tourist destination, Khajjiar is also well-known as Mini Switzerland of India. 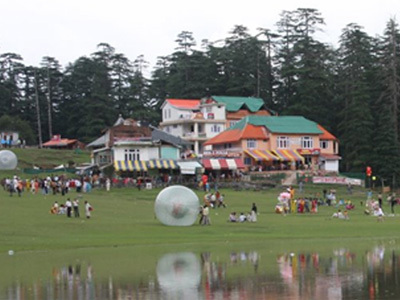 Dalhousie - Khajjiar pleasing weather and picturesque gives a unique feel to the visitors Dhanvi Tourizm is offering budget, deluxe and luxury Hotel Holiday Packages, Educational Packages, Group Tour Packages and Sightseeing Tour to Chamba Distt. Kinnaur is one of the twelfth administrative distt in Himachal and smallest distt in India by population. A mountain area, range in altitude from 2,320 to 6,816 mtrs, It is famous for the Kinner Kailash Trek, a mountain sacred to Hindus, close to the Tibetan border. From here Kinnaur Kailash, considered to be the abode of Lord Shiva, can be viewed. Kalpa, Sangla, Chitkul, Nako and Buddhist Monasteries are the key tourist attractions in Kinnaur and Kaza, Kunzum Pass, Keylong at an elevation of 4551 meters, Chandra Taal Lake, Key Monastery, Tabo Monastery and Trekking route are the main tourist points in Lahaul & Spiti. May to October is the best time to visit the above destinations. Kasauli - Chail are the hilly regions situated in Solan distt of Himachal at an altitude of 1927 and 2444 mtrs. Climate of this both stations remains moderate during the full years. Plenty of tourists from all around the world visit the both destinations during the year. Kasauli - Chail has a pleasing weather and it provides a scenic view of its surroundings and plenty of budget, deluxe and luxury hotels are therein Solan. The small town Kasauli is situated at an altitude of 1927 mtrs. Over all Travellers can find good budget, deluxe and luxury hotels in Chail and Kasauli.